James Leigh Hunt was born on 19th October, 1784 in Southgate, Middlesex. His father, a clergyman, got into financial difficulties and ended up in a debtor's prison. As a young man, Hunt developed an interest in politics and poetry. Leigh Hunt became friends with other young writers who favoured political reform including Percy Bysshe Shelley, William Hazlitt, Henry Brougham, Lord Byron,Thomas Barnes and Charles Lamb. As well as writing poetry and articles on politics, Leigh Hunt worked as a drama critic for The News. 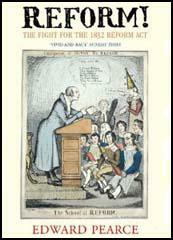 In 1808 Leigh Hunt helped his brother, John Hunt, to start a political journal called the Examiner. 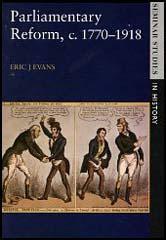 The journal gave support to radicals in Parliament such as Henry Brougham and Sir Francis Burdett and the political ideas of people like Robert Owen and Jeremy Bentham. Leigh Hunt upset the authorities by pointing out on the front page of every edition of the Examiner that half the cost of the price was the result of the government's "tax on knowledge". In 1812 Leigh and John Hunt were arrested and charged with libel after publishing an article criticizing the Prince Regent. The brothers were found guilty and sentenced to two years' imprisonment and a £500 fine. In prison Leigh Hunt continued to edit the Examiner. After his release from prison, Leigh Hunt continued to edit the Examiner until 1821. The following year Leigh Hunt traveled to Italy with Lord Byron and Percy Bysshe Shelley. The three men published a radical political journal called The Liberal. By publishing the journal in Italy they remained free from the fear of being prosecuted by the British authorities. The first edition was mainly written by Leigh Hunt but also included work by William Hazlitt, Mary Shelley and Lord Byron's Vision of Judgement and sold 4,000 copies. The venture was abandoned after four editions and in 1823 Leigh Hunt returned to Britain. In later life Leigh Hunt's books included Lord Byron and Some of his Contemporaries (1828), Christianism (1832), Poetical Works (1844), Autobiography (1850) and Table Talk (1851). James Leigh Hunt died in 1859. His son, Thornton Leigh Hunt (1810-1873), also became a successful journalist.